Email: north iowa spin at yahoo dot com if you'd like additional information or have questions. - Orders must be received by February 4th. - Anticipated delivery date of April 15th. As an attorney, Earl's favorite trials are time trials. 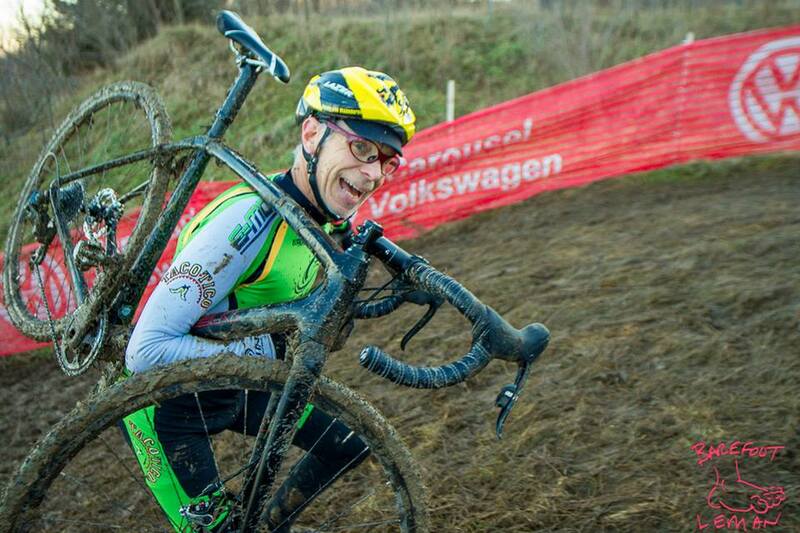 He's an accomplished time trialist who has competed at the local, state, and national levels, having raced Elkhart, Iowa Games, and Senior Nationals several times. Earl also leads some of the more interesting indoor classes, often with visual aids. Now, we just need to get him an iPod. 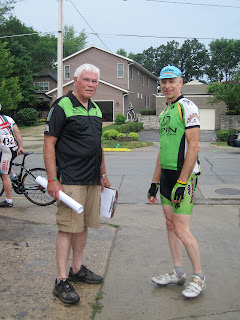 When you see Earl next, please thank him for all he does for cycling in North Iowa. He'll quietly say, "Thank you." Carrie is our volunteer of the month for May 2012. She has taken over leadership of the Stu Nevermann 4-Miler Run on Band Festival weekend and has help the event grow each year. That's a lot of work, but Carrie makes it look so easy. In addition, she started and led a new early morning indoor cycling series last winter. It was held on weekday mornings at 5:30 AM opposite Mason City Masters Swim Club workouts. This year, Carrie has volunteered to be in charge of the Saturday morning recreational rides for the Bicycle, Blues and BBQ Festival on July 7. Lots of new plans are in the works for that morning to make the rides a lot more fun, including a farm stop, entertainment, swag, and much more. She has even more ideas for 2013; it's hard to hold her back. We love it! 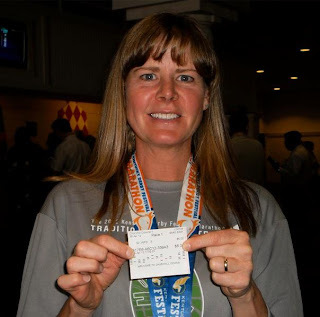 On top of all this, she's a competitive athlete with marathon and Ironman events. 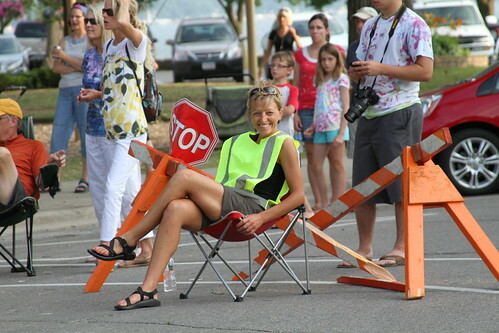 When you see Carrie next, please thank her for all she does for the active community of North Iowa. Monson ans Sons Crit, a photo by NorthIowaSPIN on Flickr. The Bicycle, Blues and BBQ Festival is a completely volunteer run organization. 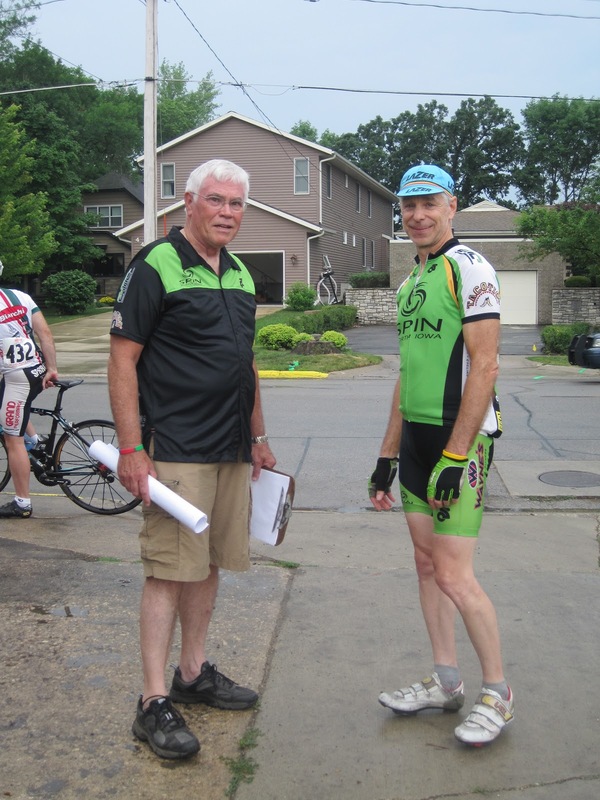 These are people just like you who have a passion for cycling, blues music, and BBQ, or want to help improve the cycling amenities of North Iowa. But there are never enough of us, so we need your support. 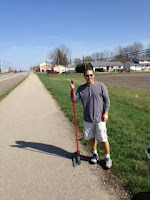 For several years, Barry has organized cleanup of the B35 bike trail between Mason City and Clear Lake on or before Earth Day. When you see Barry next, please say "Thank you!" This year, Dwight Beavers and Barry picked up eight bags of trash. Bicycle, Blues and BBQ - Website live! Mark swept the last segment of the B35 bike trail on Sunday, March 25. Thanks, Mark!